Experience something new, be totally spellbound or utterly provoked, chat with a gorilla, have a cup of tea with an artist or a friend! 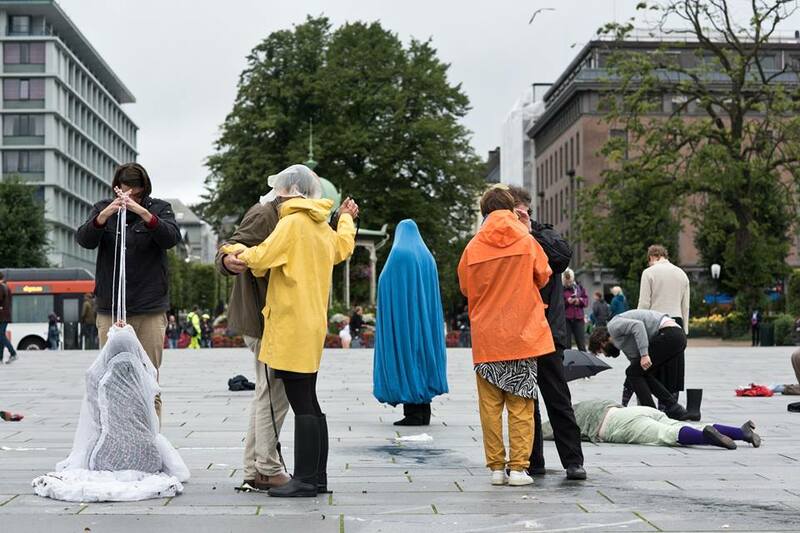 Performance Art Bergen (PAB) has the pleasure of inviting the public to an extraordinary art experience in the old district prison on Saturday the 5th and Sunday the 6th of September ’15, PAB Open is a festival that gives space for experimentation and testing of new performance work. This is the second edition of PAB Open, and the response has been overwhelming. Over 80 local, national and international artists registered their interest for participation through an open call. The festival’s ethos is not to curate the selection of artists or work: all applications are accepted! We promise an exciting and varied programme from beginning to end. On Friday the 4th September, the seminar BUILDING AUDIENCES: dissemination and audience development in the field of performance art will be held at Upstairs, Kunsthallen. Event organisers and curators from home and abroad have been invited to share their experiences and strategies for showing work and creating public engagement, with a focus on performance and live art. The festival is free. Guests are invited to visit the café for homemade food and drink, conversations about life and art, and to take a look at our latest publications. Keep updated at www.performanceartbergen.no for the final seminar and festival programmes. The latter will be under development right up until the festival weekend. PAB Open has been realised with many thanks to the great volunteer efforts of its members, and from the event’s organising group which consists of Mia Øquist, Eleanor Clare, Karen Kipphoff, Anett Haukås and the undersigned.